Today we kick off our 12 Days of Freebies. Each day from today until Christmas Eve you can check back for a new free printable! Its our gift to you for making our shop a success this year. 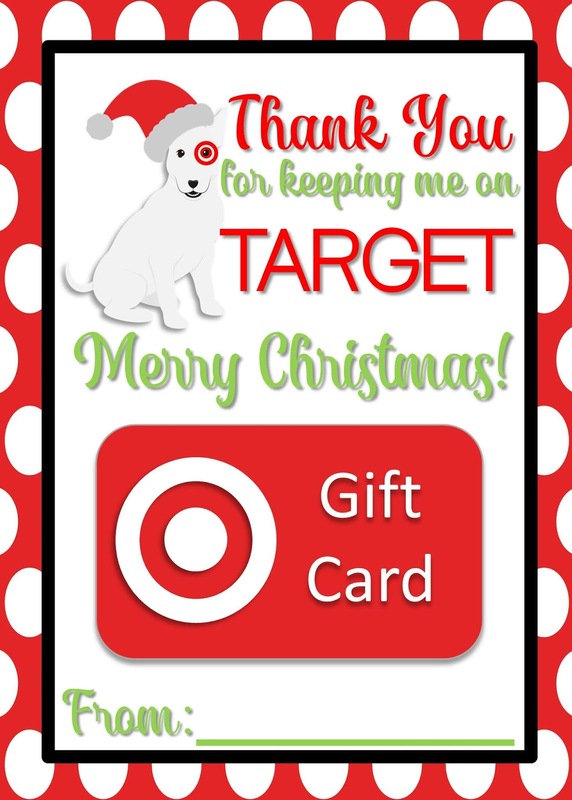 Our first freebie is a 5x7 Target Gift Card Holder. You can download as a single 5x7" jpg or as a pdf that prints 2 per page. To attach your Gift Card you can use twine or ribbon to tie it on or a glue dot. 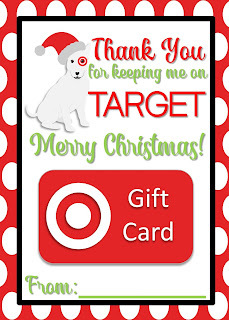 You can also use your Gift Card as a guide to mark and then cut a small slit in one top corner and the opposite bottom corner and slip the two corners of the gift card into them to keep the card in place. Check back tomorrow for another freebie or check out the Etsy Shop for more great gift ideas!